Conwy Castle, North Wales, in the coastal town of Conwy, is an evocative attraction to visit. 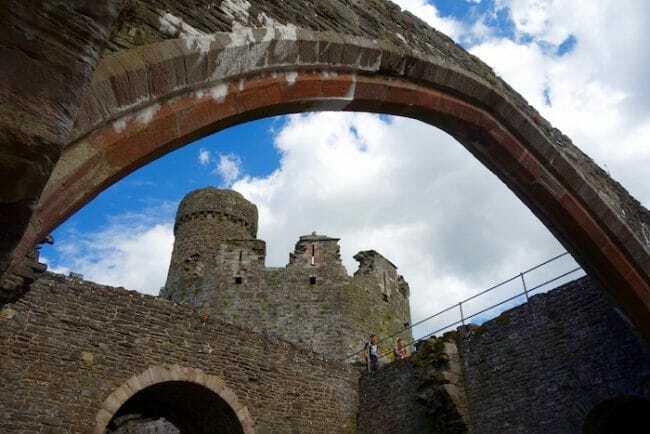 With a history that dates back to the 1200s, this mighty fortress is one of Edward I’s Iron Ring of Castles, and a fascinating part of the history of the British Isles. 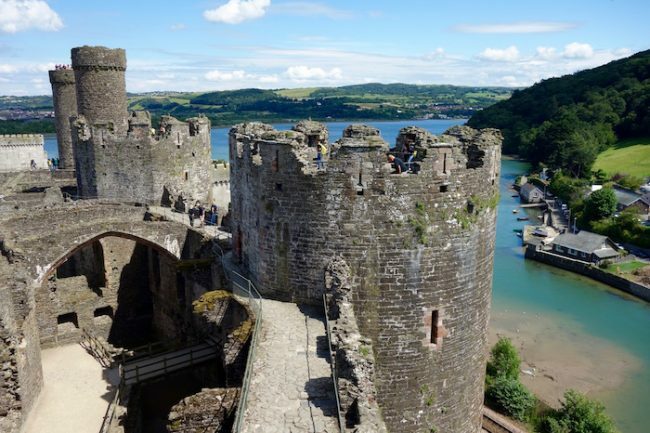 Here’s your ultimate Conwy Castle guide. I’m not sure if I should be channelling the spirit of the English King, Edward I, or the Welsh Prince of Gwynedd, Llywelyn ap Gruffydd. 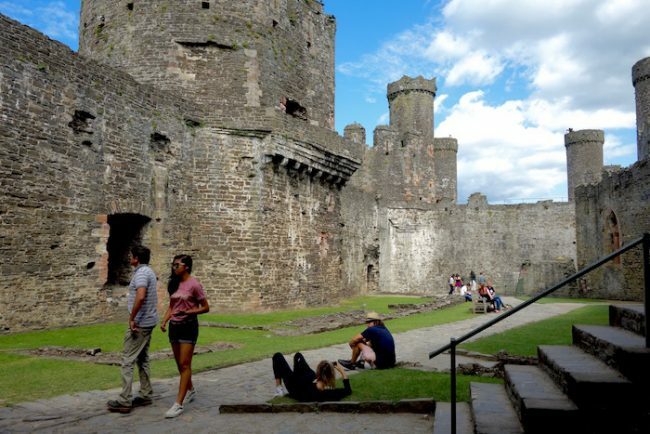 Since I’m in Conwy, a picturesque town in North Wales (if you’d never heard of it don’t worry, I hadn’t either), I want to be loyal to Wales, but as I’m standing in the ruins of a once-mighty castle built by Edward I, a castle that Llywelyn ap Gruffydd – also known as Llywelyn the Last – likely never stepped foot in as he was ambushed and killed somewhere near Builith Wells in 1282, I feel compelled to stick with Edward. Is it just me, or when you travel to historic places do you feel the urge to step into some historic figure’s footsteps? (Oh, stop rolling your eyes.) I suppose it’s my attempt to make history real. So what I – I mean King Edward – did after inheriting the English throne in 1272 was to launch three invasions of Wales. 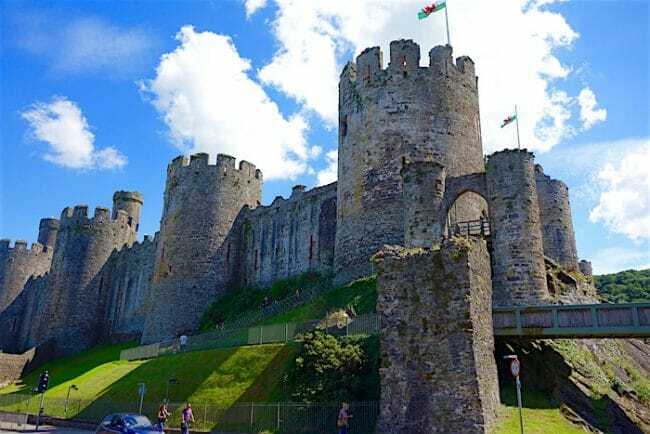 To protect his English interests against the rebellious north, he built a colossal ring of castle fortresses – the Iron Ring of Castles that stretches from Flint to Aberystwyth. Conwy Castle was built between 1283 and 1289 during Edward’s second campaign in Wales. Altogether his castle-building spree was the most ambitious medieval building project ever to be seen in Europe (and as you can guess, fearsomely expensive). Conwy Castle, with its eight massive towers, impressive battlements and imposing location rises straight up from a rocky base. It’s protected on two sides by the Conwy and Gyffin Rivers. Personally, if I were an attacker I’d be terrified to storm it, which of course was its purpose. The castle was also built at supersonic speed, taking a mere four years to complete. Designed by the master architect, James of St. George, it did its job well. 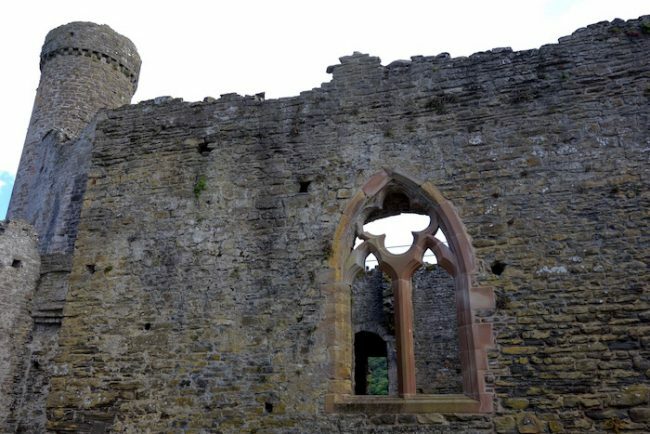 When Edward was besieged in 1295 by Madog ap Llywelyn, the massive walls weren’t breached. Doesn’t this kind of look like a stone crown? Standing in the roofless kings’ chambers in the castle’s Inner Ward, I try to imagine the weathered walls as they were when they were sturdy and new, enlivened with royal furnishings, guards and roaring fireplaces. Adding Edward I to the picture, I put him sitting at a table drinking mead with his wife, Eleanor of Castille, who he married when he was 15 and she was only 10. The marriage of Edward I and Eleanor of Castille was an uncommonly close relationship for a political arrangement. Eleanor accompanied Edward on a number of campaigns, even the 8th Crusade. Known for her (some say ruthless) business acumen, she was also a patron of the arts and popularized the use of tapestries and carpets in Britain, a decor feature she imported from Spain. Hastily I add some warm red tapestries to the walls then stop and compare my imagined picture with Conwy Castle today. You won’t find any carpets or fine furniture in the King’s Chambers, and no minstrels are playing. Only a trace of the once magnificent windows remain. A deliciously unsettling combination of ghostly past and contemporary art looms over me, a linear steel sculpture of King Edward’s head. No matter how much you need to use your imagination, these interior rooms are some of the best-preserved medieval private chambers in either England or Wales. The problem was that only the English could live inside the walls. This makes me feel guilty about trying to channel Edward I rather than his Welsh foe, Llywelyn the Last. 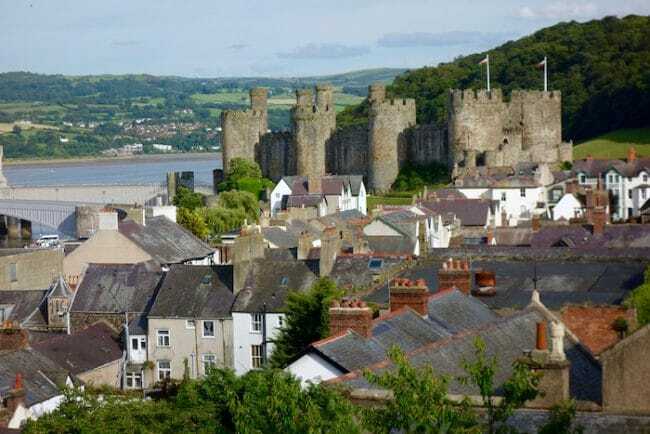 “How do the people of Conwy feel about Edward I conquering Wales? How do they feel about the English” I ask him. So I guess that’s how Conwy got its Welsh groove back, and these days the castle is a key piece of the history of the British Isles. Battles are fought, battles are won and rulers (reluctantly) hand over their crowns, but the history of Wales and England remains as inseparable as Edward I and Eleanor of Castille. The castle opens at 9:30 a.m. except from November 1 to February 28 when opening hours are from 10:00 a.m. to 4:00 p.m. Closing times are 6:00 p.m. in July and August, and 5:00 p.m. otherwise. Adult – £8.95. Family – £26.60. Seniors, students and children under 16 – £5.80. Children under 5 free. Prices are valid until March 2018. Check out the two main parts of the castle. The Outer Ward was for the military and contains a hall, chambers, kitchen and dungeon. The Inner Ward is the castle within a castle where the royals would have stayed. These private chambers also had a chapel. 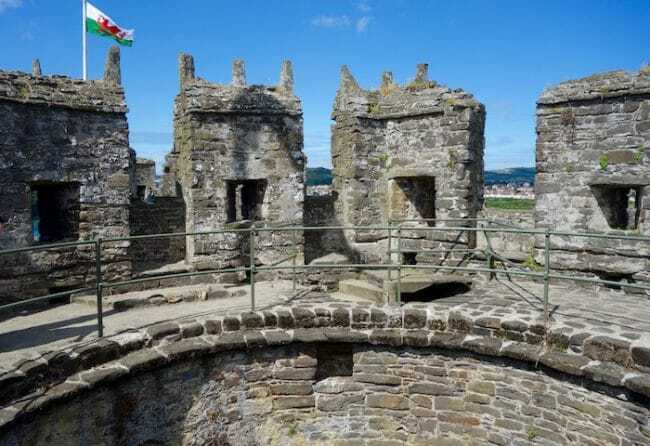 Climb one of the eight towers for incredible views over the Welsh landscape. 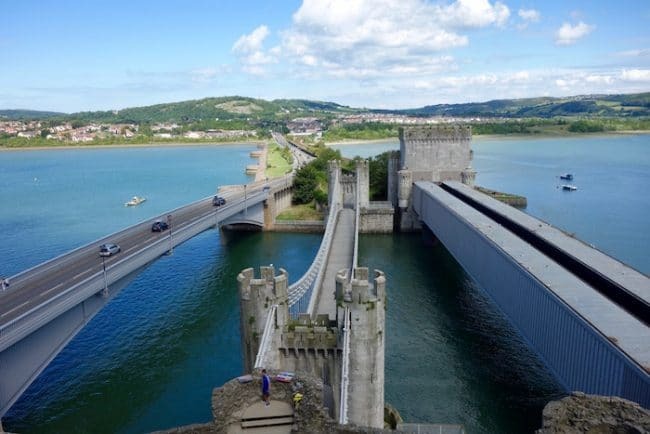 From one of the towers, enjoy the view below of the famous Conwy Suspension Bridge that links Conwy to Llandudno. John Merrill’s The Guard made from Welsh oak beams. It’s a total photo op. Gideon Petersen’s rusted iron sculpture, The King’s Head, in the Royal Apartments. My favourite. Linda Norris’s and Rachel Phillips’ beautiful stained glass, Gariswn o Flodau, inspired by the north Wales landscape and the brutal battles between the princes of Gwynedd and the kings of England. You’ll find it in the castle chapel. 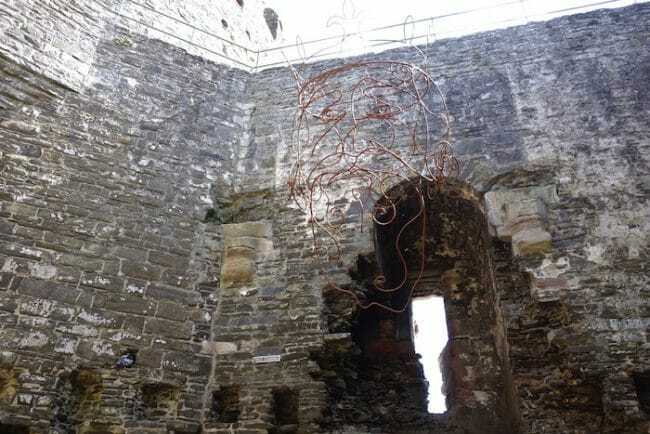 Rubin Eynon’s evocative installation of a mound of armour and weaponry, Llywelyn’s Coronet, in the Prison Tower dungeon. On top lies Llywelyn’s sword and coronet, symbolizing the burning spirit of the Welsh people. Rekindled created by Jessica Lloyd-Jones uses light technology to animate a fireplace and reveal flashes of medieval history. You don’t need to actually enter the castle to do the wall walk and it’s free. There are 6 entrances up to the top of the wall. To find one I just followed the walls from the ground until I found steps leading up. It’s a bit dicey, with steep drops over the side, so beware. Don’t let children up there alone. The views of Conwy and the surrounding countryside are spectacular. If you’re exploring the castle where else could you stay but the Castle Hotel, an atmospheric hotel on the High Street that was originally a 17th-century coaching inn? Conwy is about 2 hours by train from either Manchester or Liverpool. 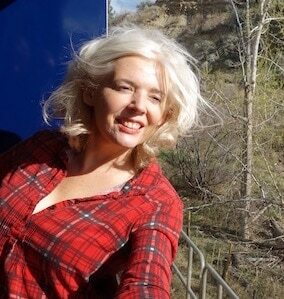 From Manchester there are some direct trains but you’ll definitely have to change from Liverpool. For more travel information check out VisitWales or VisitBritain. Thanks so much, Stephanie. I loved that quote about history, too. Yes, Castle Conwy has an interesting history, Jean. 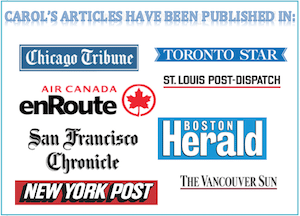 Thanks for reading. Great. I hope you visit Conwy, Paige. Thanks, Izzy. I appreciate that. I like to pull out little stories from history, it makes castles come alive. Thank you for providing all the historical context. I have to admit that I feel very disconnected to some historical sites, especially fortresses and castles, when the history is so stagnant but you did a great job of presenting the information in digestible chunks. I love the story of Edward and Elenor… I always like to think that some of these political marriages wrought some type of happiness. Castles are so fascinating. It is the history behind these stone structures which tell intriguing stories of a bygone era. 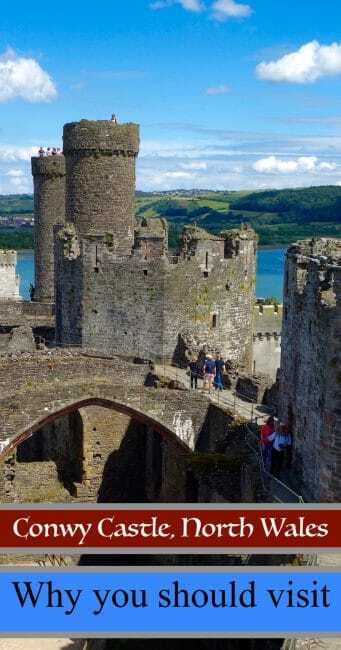 Conwy castle steeped as it is in a long history is fascinating too. I had of course also not heard about the place, but your post makes up for it with a detailed guide to the castle. I love your writing style which holds the readers’ attention. 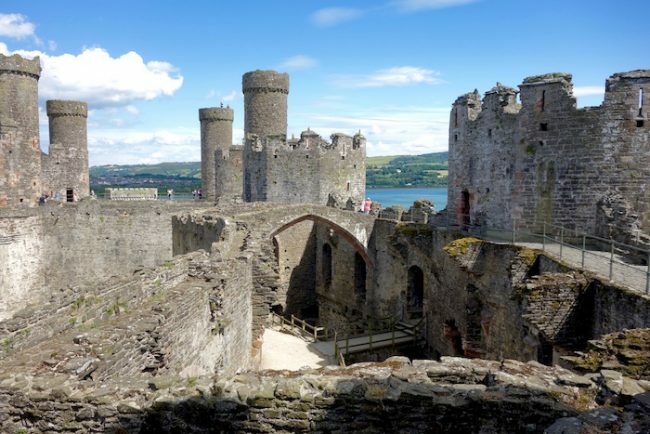 Conwy Castle looks an sounds incredible! I’m heading to Wales for the first time next year and I’m so excited! I hadn’t found this Castle yet, so I’m adding to the list! It sounds like a fantastic destination. Ah wow! What an amazing castle. I can only imagine what it was like fully furnished and ready to defend a King! Looks like an amazing place to walk around and get lost in. I love castles, but can you imagine I have never visited one? 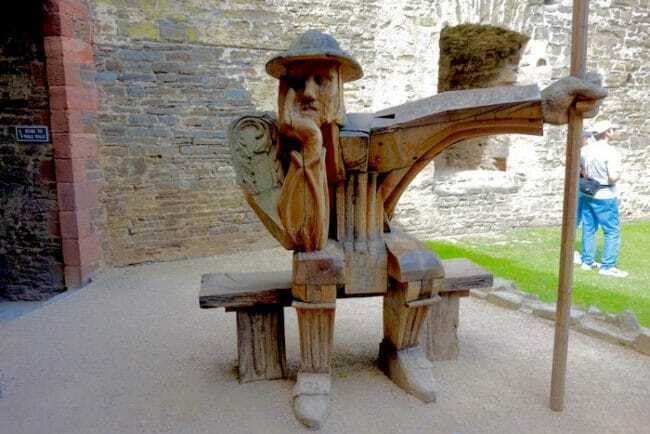 The history of Conwy Castle is indeed interesting and I would love to visit. I especially like that it is surrounded by the Conwy and Gyffin Rivers. That is part of the charm for me. Maybe another time…it’s the best in the spring when the rhododendrons are in full bloom. Ah, I didn’t have a car in Conwy so I didn’t get there, Wendy. Clearly, I missed out! Wonderful blog and photos, as always. Were you able to visit the spectacular Bodnant Gardens near Conwy? It was one of the highlights of our trip to Wales. I didn’t know you visited Wales as well as Manchester and Liverpool, Parm. Did you stay in Conwy? I loved this castle. It rained non-stop during my visit last year. Glad to see your story.